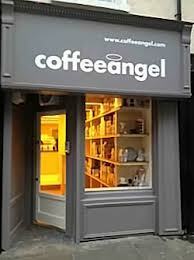 O’Herlihy Access Consultancy advised and prepared the Disability Access Certificate application for Coffeeangel’s fourth retail outlet in Dublin. The proposed works related to a material change of use project from print shop to coffee shop/restaurant at 27 Lower Pembroke Street, Dublin 2. O’Herlihy Access Consultancy advised Coffeeangel on how to make the proposed coffee shop accessible, reviewed the proposed layouts and designs, prepared the Disability Access Certificate application and provided the client with advice in relation to design and fit out of the accessible WCs, internal circulation, approach to the building etc. The duration of this project was from November 2012 to January 2013.